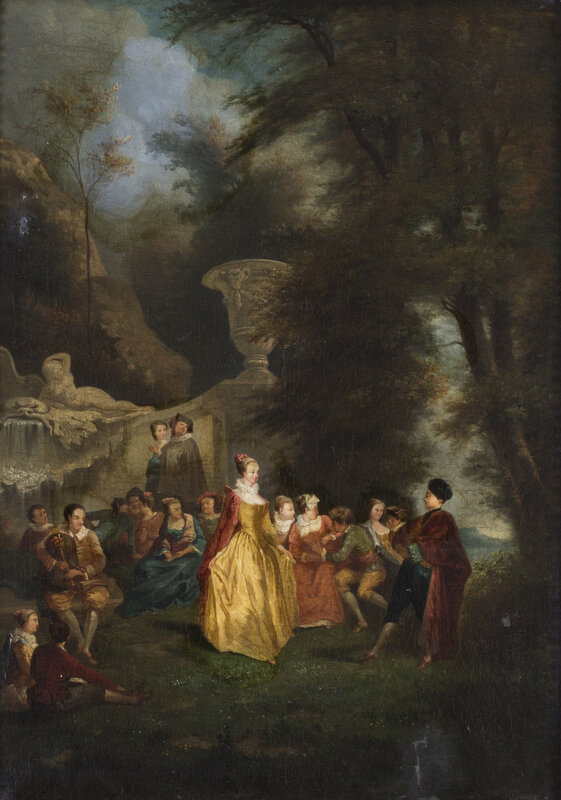 This lovely romantic French scene depicts high society in an arcadian landscaped garden. The greens of the background are well contrasted by the yellows of the lavish dress of the central lady who is the focal point. It is a faithful representation of a bygone age that is influenced by the likes of Lancret, Watteau and Fragonard. 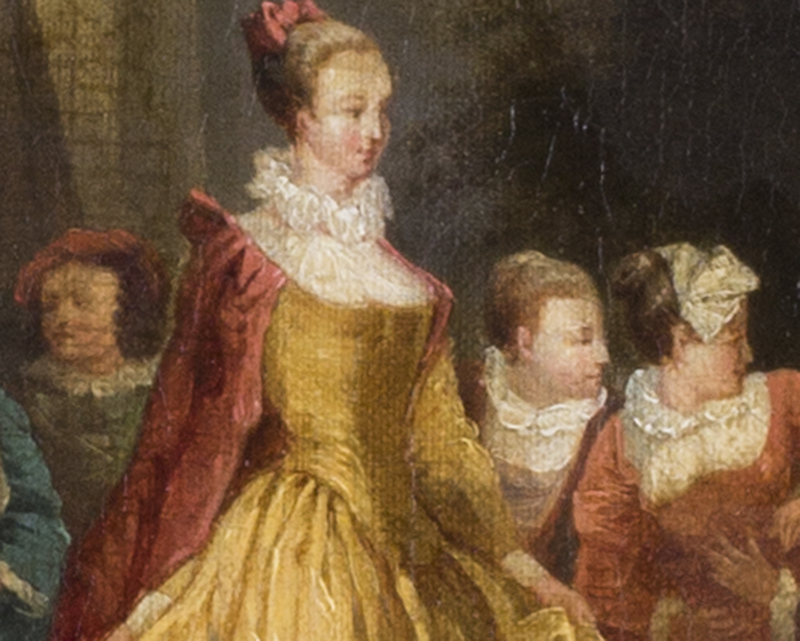 A Fête champêtre was a popular form of entertainment in the 18th century, taking the form of a garden party. This form of entertainment was particularly popular at the French court where at Versailles areas of the park were landscaped with follies, pavilions and temples to accommodate such festivities.